Since much of this semester focussed on atmosphere and tone I felt it important that this was the overall focus of my semester book. Much like semester one, I created titles for each project with my own font and self generated images with a process based black and white aesthetic to create an overall flow. I included more process shots in this semester's book since I felt this was more important to highlight the development in each project as well as the final outcomes to reflect the way I worked. For the cover I edited some photographs from projects within in the book. 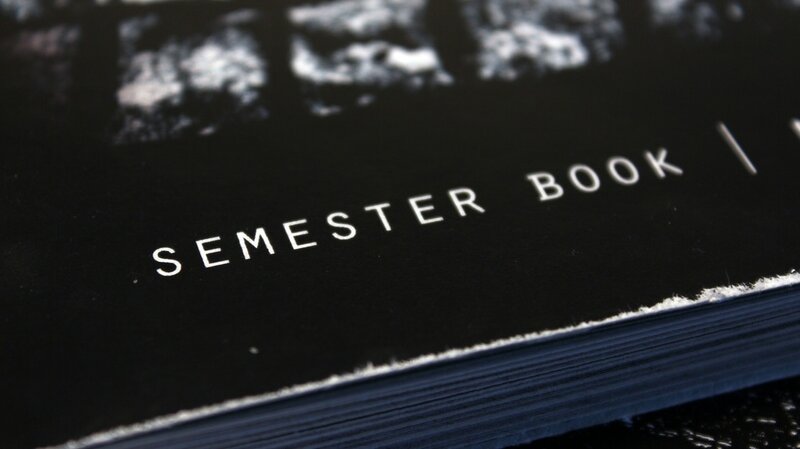 These resulted in highly atmospheric and dark images which I felt summed up my journey over the past semester. 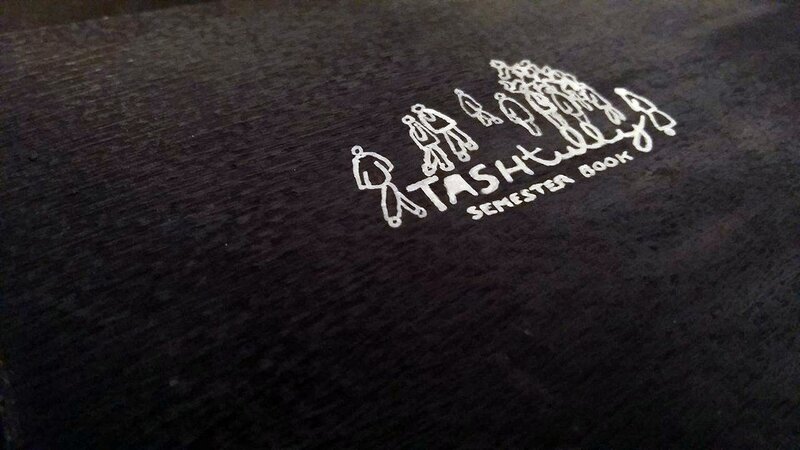 I began creating my semester book as a 'best of' but it later became a journey. I wanted there to be a theme that ran through the entire book, be that visual or content based but I decided upon a visual link. I created titles for each project with my own font and self generated images with a process based black and white aesthetic to link in with the way I worked over the semester. For me, a lot of my work became about creating an atmosphere, often one which is palpable and tangible. able to be touched or felt. ​plain to see or comprehend. 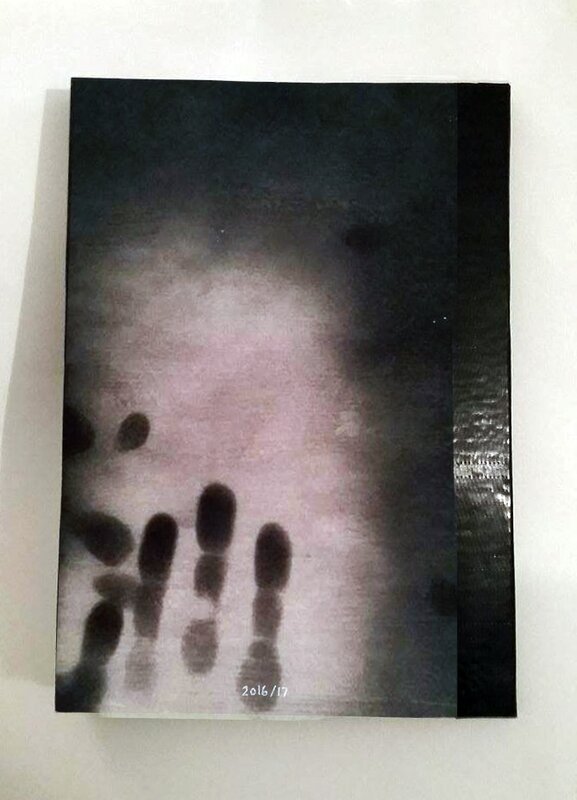 With this in mind, I created a cover for the book using thermochromic ink. I'd previously used this ink last year during an exploration of the senses however I felt the sense of being touched and it leaving a trace to be appropriate here. I wanted to cover to be interactive, for people to experience something when holding and browsing it. In addition I wanted people to be able to leave a mark. When touched, the black turns to white, leaving a sort of bruise, an emotional mark. Overtime, the mark disappears back to black. 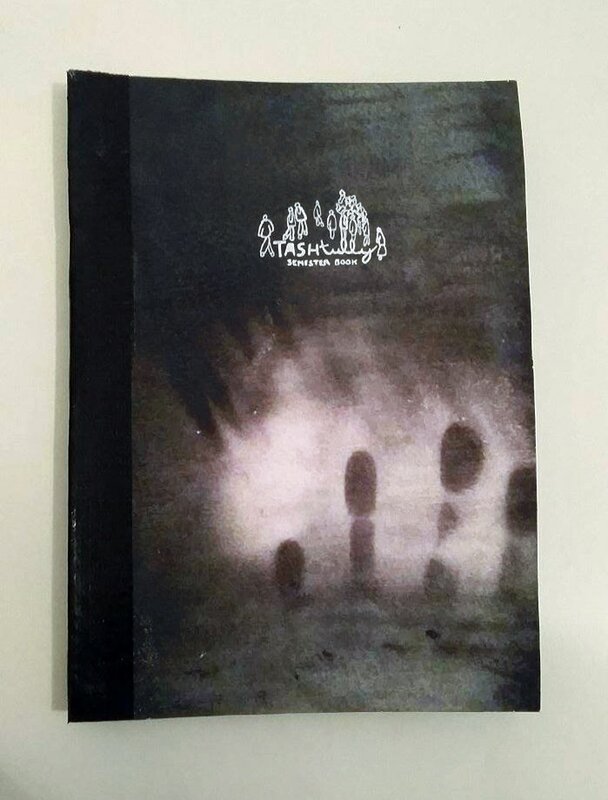 The human touch on the cover becomes temporarily a touch of warmth and emotion. 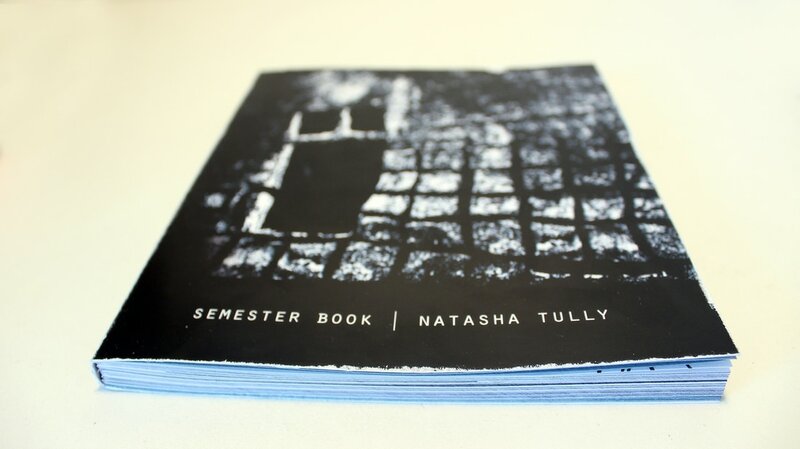 Since I had never used InDesign I was pleasantly surprised how my book turned out despite a few hiccups. 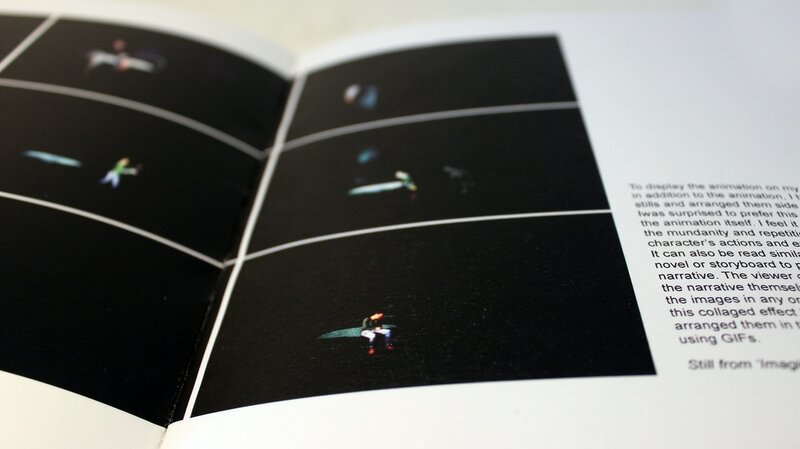 In terms of my composition of pages and the quality of the images I am pleased. I feel the book is well themed and flows however, when printing, the printer wasn't aligned properly meaning the centre line on each side of the page was not quite aligned. This caused folding issues and, on some pages, an imposition of the reverse image in the middle of a page. Unfortunately this was not something I could fix but an issue with the printer itself. Another issue was a simple mistake by myself. When glueing the spine, I didn't set the book far enough from the book press meaning it got stuck. This led to a small rip in the final page which was irrepairable. To attempt to mask the problem as much as possible, I included a beginning and ending page which attached to the front cover linking to two together. 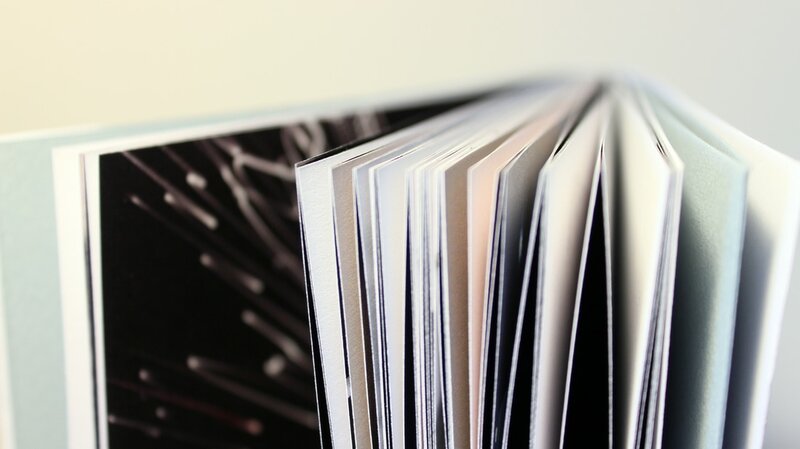 After cutting the book came the biggest issues, fixing the cover. 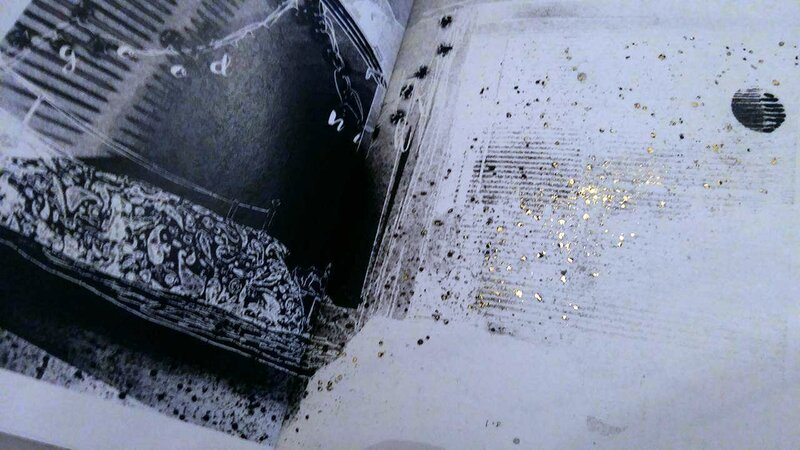 Unfortunately, when glueing the spine, the book became secured to the press meaning, when I removed it, a small part of the final page encountered a tear. To repair this I added a blank sheet of newsprint as a beginning and ending page. This did mask the tear somewhat. I then added a black beginning and ending page to allow me to secure the cover. For this I used black card, which on reflection was too thick for the overall effect I was after. Next time I should use a thin paper. On attaching my cover, the spine split. This was devastating following my hard work however I repaired this with tape. Again, the overall effect isn't quite what I was after so next time I should chose a thinner card for the cover. Finally I illustrate my logo in white pen. This went to plan and, although I had to hand draw it leading to a DIY aesthetic, this tied in with the use of tape to repair the spine. Following the completion of the book, I filmed myself flicking through the pages.